"We are thrilled to partner with Activision on the hottest property in the kids space," said Vic Bertrand, Chief Innovation Officer of MEGA Brands. 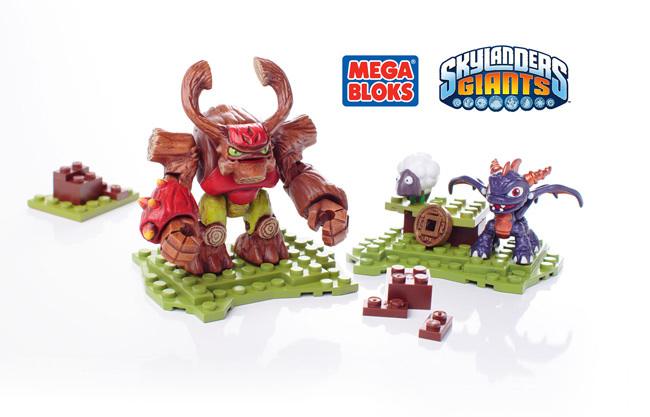 "We look forward to bringing the endless creative play possibilities of MEGA BLOKS together with our innovative line of MEGA PUZZLES to the world of Skylanders Giants." "We're excited to collaborate with the creative talent at MEGA Brands on this new line of MEGA BLOKS and MEGA PUZZLES," said Ashley Maidy, Head of Global Licensing and Partnerships at Activision Publishing. "One of the magical things about Skylanders Spyro's Adventure and Skylanders Giants is how they inspire kid's imaginations and we look forward to giving them new ways to create exciting adventures and unique play experiences." MEGA Brands is a trusted family of leading global brands in construction toys, games & puzzles, arts & crafts and stationery. The company offers engaging creative experiences for children, families and collectors through innovative, well-designed, affordable and high-quality products. Visit: megabrands.com for more information.